President and Founder, Ryba Associates, Inc. This topic derives from one question: Can I trust my brain’s wiring when I need to lead in the moment, in the face of conflict, without time for reflection or revision? And, will it provide me the right words to defuse negative feelings and encourage collaboration? The research suggests that we can’t trust brain over “gut,” that we accept facts and information that support ideas we already believe. So, what can we practice that re-forms a reaction habit? One approach is deep listening, which encompasses more than “listening around the words” and reflecting. Deep listening is the first step toward creating trust, which then opens dialogue allowing leaders to frame new ideas and provide a new way of moving forward. Mary Ryba Knepper, PhD, is the president and founder of Ryba Associates, Inc. (RAI), a consulting practice dedicated to supporting human performance by promoting excellence in technical, scientific, and professional communication. 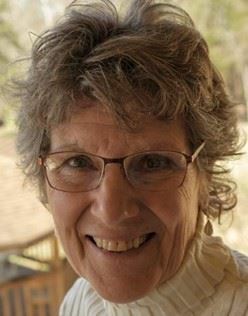 Mary has lived in both the academic and professional worlds as a student/scholar and as a practitioner of leadership. In the academic realm, she coached PhD candidates in Organizational Development (OD) on their dissertations and served on the editing team for the OD Practitioner. As the owner of Ryba Associates, Inc., she has led her training and documentation teams in sometimes hostile manufacturing environments here and abroad. Her clients are in the Fortune 500, representing R&D, telecommunication, marketing, finance, and manufacturing. Mary coaches executives on their communication styles and prepares teams and individuals for presentations. She mentors young professionals in the Society for Technical Communication, and having held public office, stays involved in local governance. Mary’s idea of a good day is seeing someone go boldly forth with new skills and confidence to get the job done. Networking and lunch will be available starting at 11:30am, and the program begins promptly at 12:00pm. Let us know of any dietary restrictions upon check-in at the registration desk. Cancellation requests/refunds will be honored within 48 hours notice if paid in advance. Payment will be due for no-shows.